This also comes with a exclusive member ship to the Explanar Club with access to support from the Explanar Pro Team via Explanar.com. The product has been exclusively designed for children 3ft to 5ft.So that their talent is nurtured right from their growing age. If you have any questions regarding the Explanar Jr. Training System, please give us a call, we would be happy to help you with any questions you may have. 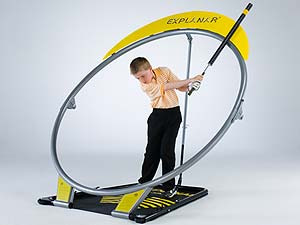 Write an online review on the Explanar Jr. Training System, and share your thoughts with others.